NoSQL databases are a different beast from the traditional Relational Database Management System (RBDMS) approach. by Adam Fowler, Feb 2016. Available soon on Amazon Kindle and compatible devices! Many NoSQL databases have open source variants, but for reasons I cover in NoSQL For Dummies, their feature set means you’ll need to buy the ‘Enterprise’ version for mission critical workload deployments – making them no different from buying commercial software. There are many commercial-only NoSQL players, including Hypertable, MarkLogic, and Franz (AllegroGraph). These vendors have rich feature sets and customer doing heavy duty, mission critical workloads on NoSQL databases. There are different flavours of NoSQL. I cover each type, and also provide a useful vendor cheat sheet quick reference on their technical aspects, free to download! 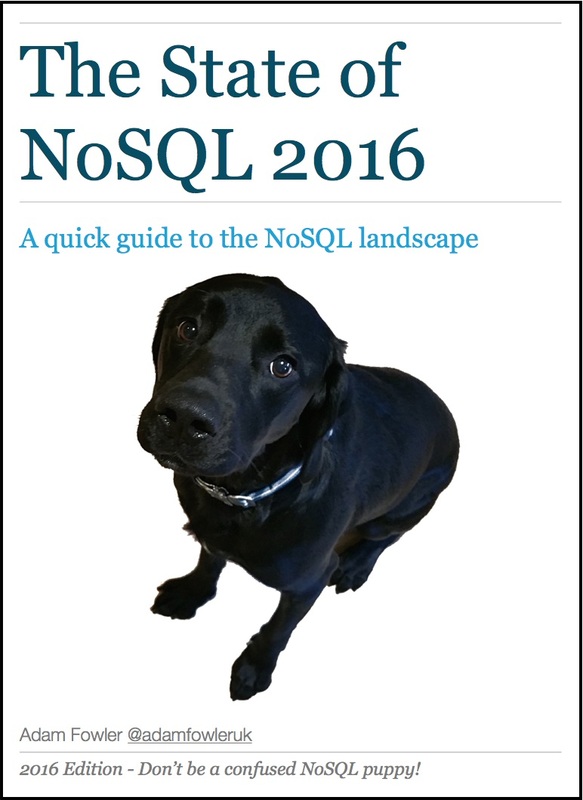 What is NoSQL food for? And of course, Go NoSQL Style!